It was a fantastic start to the May bank holiday weekend with our kids classes back after a long break (too long!) and we are now in full swing working towards our youth class showcase in 4-5 weeks time. With short routines to be learned, in one class of the new block, we are already making great progress, especially on trapeze, and silks are looking good too. 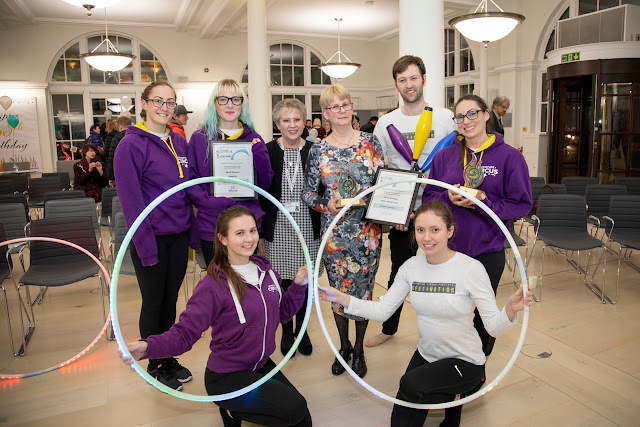 We were especially proud of Kaiya from our 4-5pm class who during the break had organised a circus extravaganza in her garden, with circus skills performances! She organised the session because she wants to try and earn a Blue Peter Badge, and we really hope she achieves one. Kaiya like a true entrepreneur also collected donations during her show, and generously donated all of them to Adventure Circus. We were so humbled and to show our appreciation Kaiya was presented with an Adventure Circus t-shirt. So a massive THANK YOU and WELL DONE Kaiya, you are amazing! 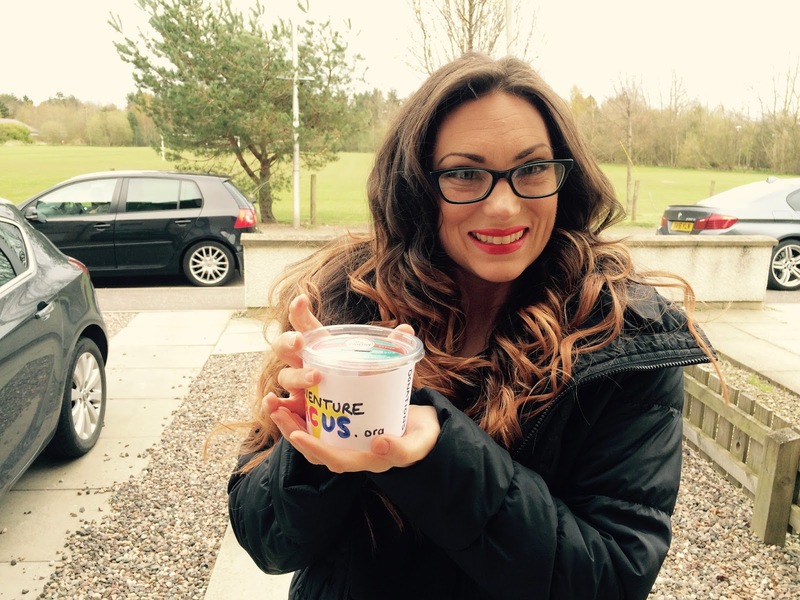 Gemma with Kaiya's fundraising donations pot! 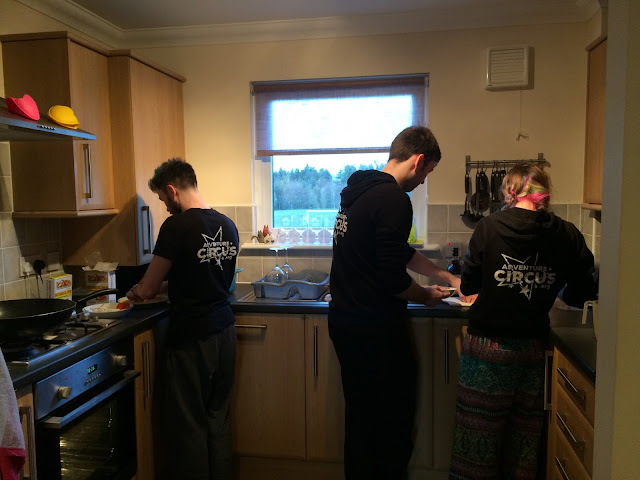 After class we had an instructor gathering at Gemma's house and a lovely circus family dinner before finishing plans for our fabulous Sunday session. The chef's hard at work! We kicked off with Nia's birthday party, with seven of her little friends and four year old little sister. 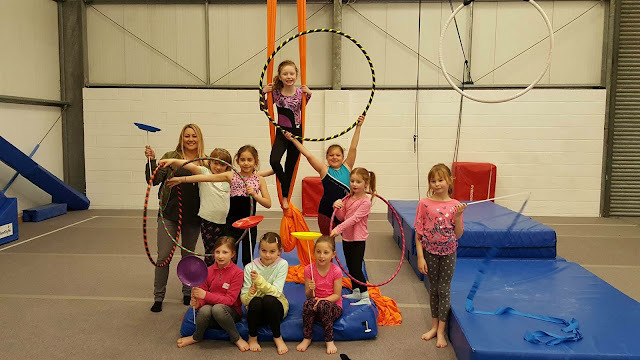 The girls were very excited to try circus skills for the first time and loved our warm up games which prepared them for the aerial activities coming up. 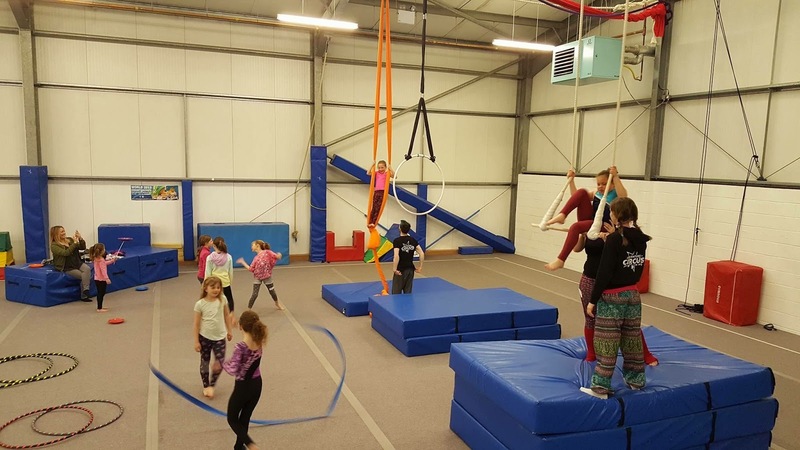 In two groups of four, the girls had a chance to spin, pose and fly on the silks hammock and trapeze, with everyone mastering standing up high. To finish we taught some swinging skills on the spinning hoop and everyone enjoyed going really high. The birthday party in full swing! 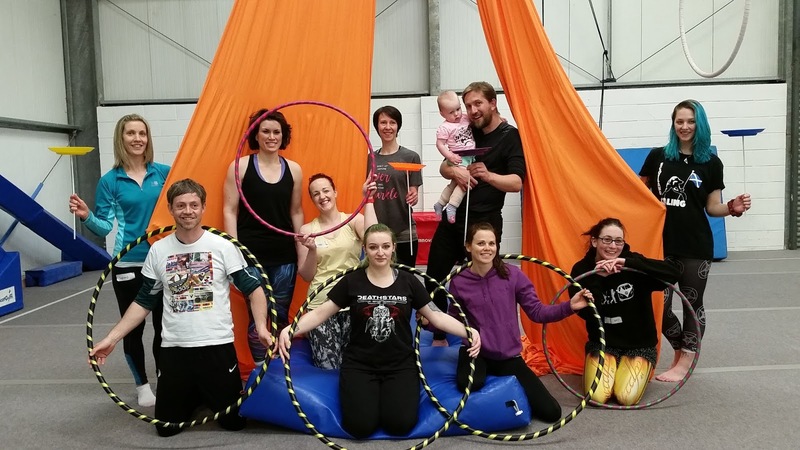 We had a great time and if you would like to have your own party with us, then check out our birthday page which gives lots of information all about parties at Adventure Circus! 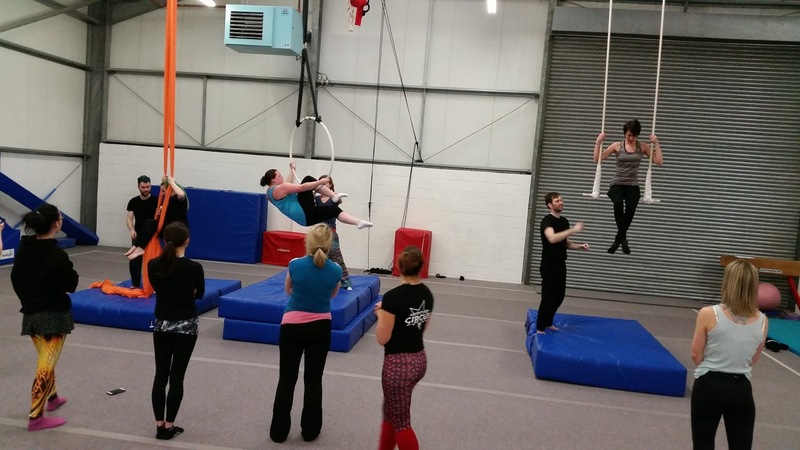 After the party, we were excited to welcome a group of 12 adults to our absolute beginner taster session. With one participant travelling as far as Inverness (amazing!) and more locally such as Perthshire and Angus we set to warming them up with a name game, our favourite cardio game and then some mildly challenging strength and stretch exercises. So far so good, all could keep up! Onto the equipment and we were blown away by the ability of our group, and how they all encouraged each other to do more and more, higher and higher. It is our favourite thing to see new friendships blossom at our classes and everyone was more than happy to take a few snaps when a camera was thrust their way! The session ended with a lovely group photo and we are delighted that we have gained three new recruits for our Tuesday class, to add to our two new aerialists who started last week! So exciting times ahead. 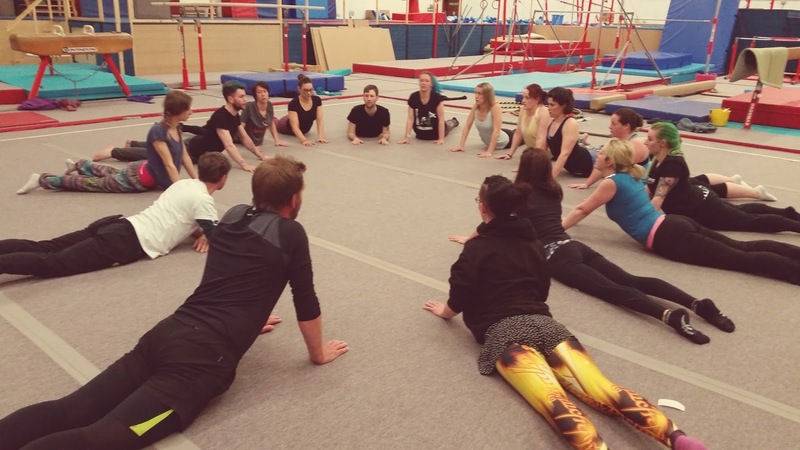 To find out more about our future taster classes, or to organise one for your group of friends, read our taster class page here.